Prominent & Leading Manufacturer from Batala, we offer cylindrical grinding machine and hydraulic surface grinding machine. We are engaged in offering the best quality of Cylindrical Grinding Machine to our esteemed patrons. These machines are engineered in compliance with the industry set norms. 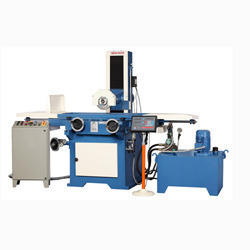 Due to their low vibration and reduced noise level, these grinding machines are widely used to grind different materials in particular sizes, in various industrial applications. We are known for manufacturing and supplying the optimum quality of Hydraulic Surface Grinding Machine. For surface grinding of different materials, these grinding machines are used in different industrial applications. Offered by us at industry leading prices, these grinding machines are known for their high performance.